Around 7.5 million laparoscopic surgical procedures are performed globally each year, and up to 6% of these surgeries result in herniation. Current port site closure devices require significant technical skill to operate, and users may experience inconsistent performance especially in obese patients. Part of the complication is derived from the necessity to preload the suture or having to “fish” the suture end to complete the loop required for closure. Unlike other devices, AbCloseTM is designed to remove user variability. 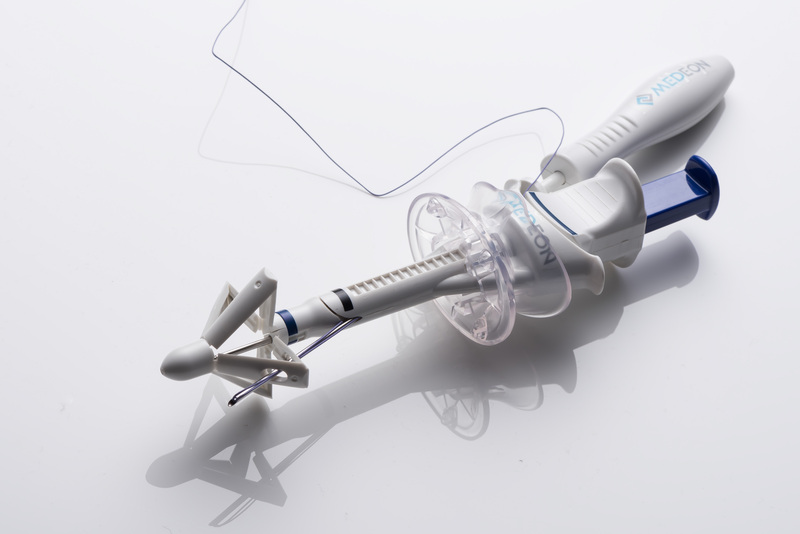 Utilizing the proprietary tissue compression feature, Grip180TM, the AbCloseTM device consistently places the suture loop 180° across the midline of the wound, resulting in secure and effective closure. AbCloseTM is 510(k) cleared by the United States Food and Drug Administration (US-FDA), and has demonstrated its simplicity, stability and predictability in the hands of multiple physicians in ongoing pre-commercial clinical evaluation in the United States.